Come and lets join to Jakarta Stone Fair 2018! Where stone meets ocean, find nature’s potential through Jakarta Stone Fair. Home to world’s 16th largest economy, Indonesia is booming with the country’s domestic consumption and productivity growth. With their young population and quick urbanization, Indonesia is the perfect market for the natural stone sector. 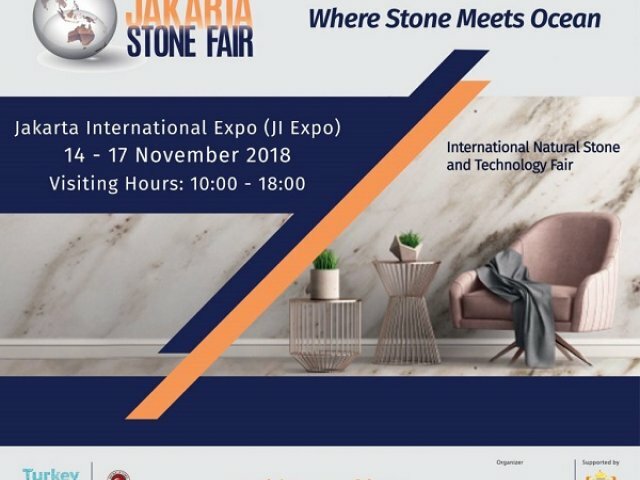 Jakarta Stone Fair take or the responsibility of being a showcase to wide variety of natural stones and stone products, as well as introducing the latest technologies in industry.